Today I’m so excited to share that Merry Mag Summer edition has hit the shelves… ok the www waves, but it is one you won’t want to miss! This trendy online magazine has every page filled with so much summer inspiration you have to go see for yourself! 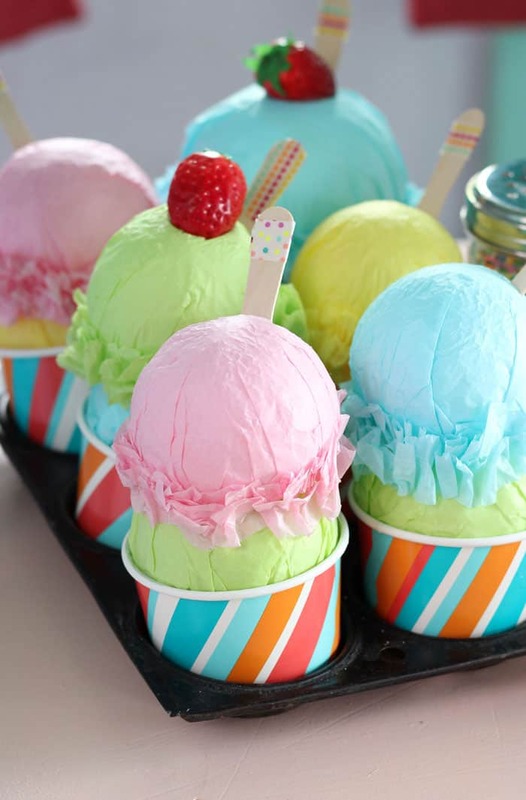 Come on in for a scoop at the playhouse Ice Cream Sundae Shoppe. 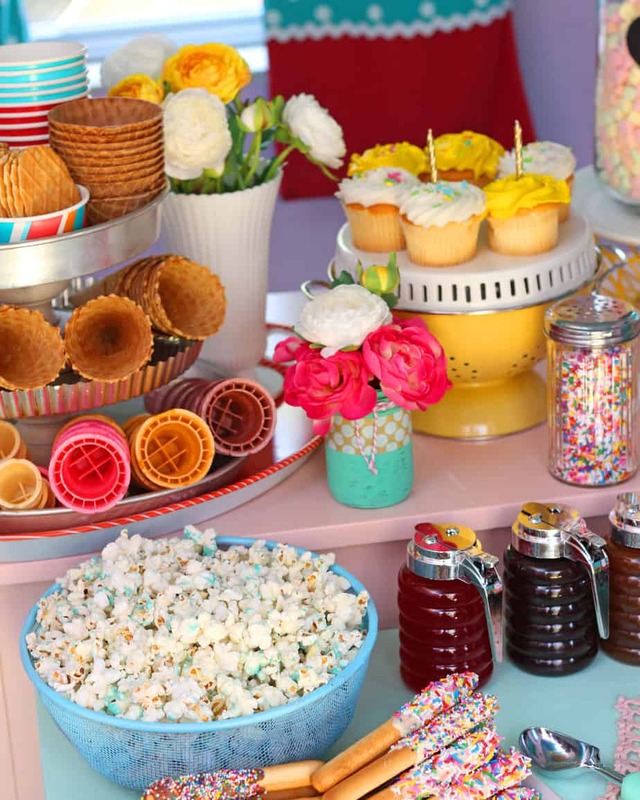 This fun birthday party is serving the yummiest treats around. 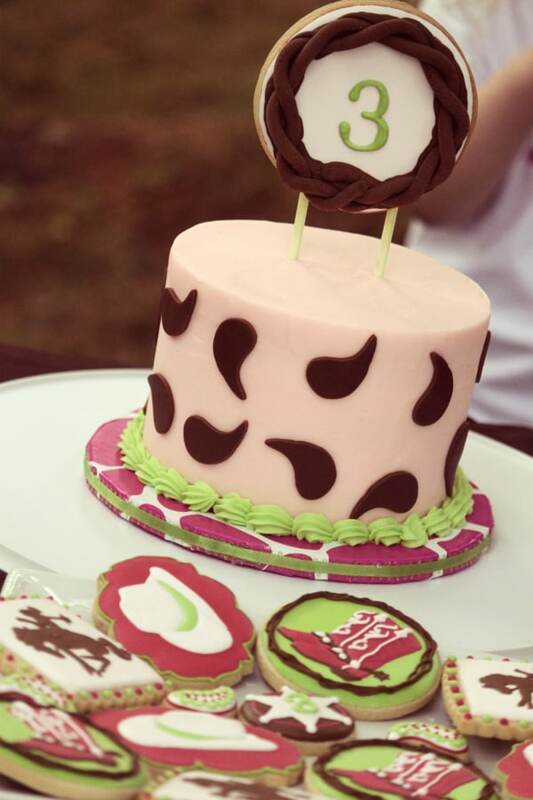 The best part is you get to decorate your cool treat with some tasty toppings… you’re never too old for extra sprinkles! My little guy had his 4th birthday at the end of May, an ice cream sundae party was the perfect way to kick off summer and celebrate his special day! 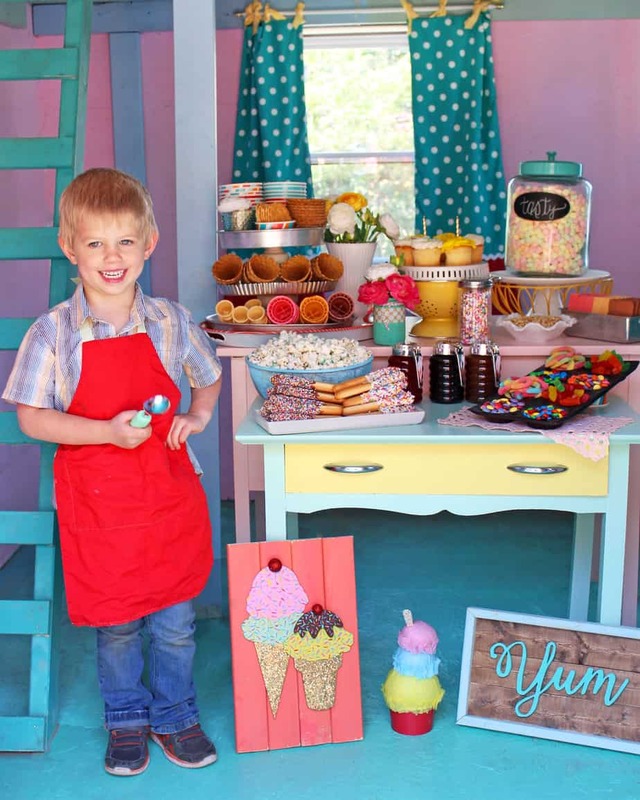 Levi has such a wonderful imagination, at Christmas he got a pretend ice cream set and he has been serving us cool treats ever since. It was so much fun to let his friends do the real thing! 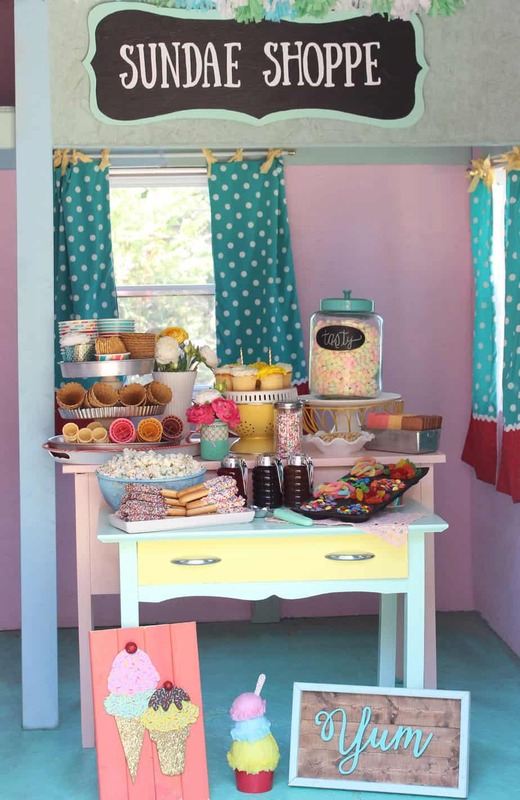 The playhouse was the perfect setting for the Sundae Shoppe. It was a bit windy, and the bugs were out, so it was nice for the tasty treats to be undercover. The children loved having so many options, I think most had both a cup and a cone. 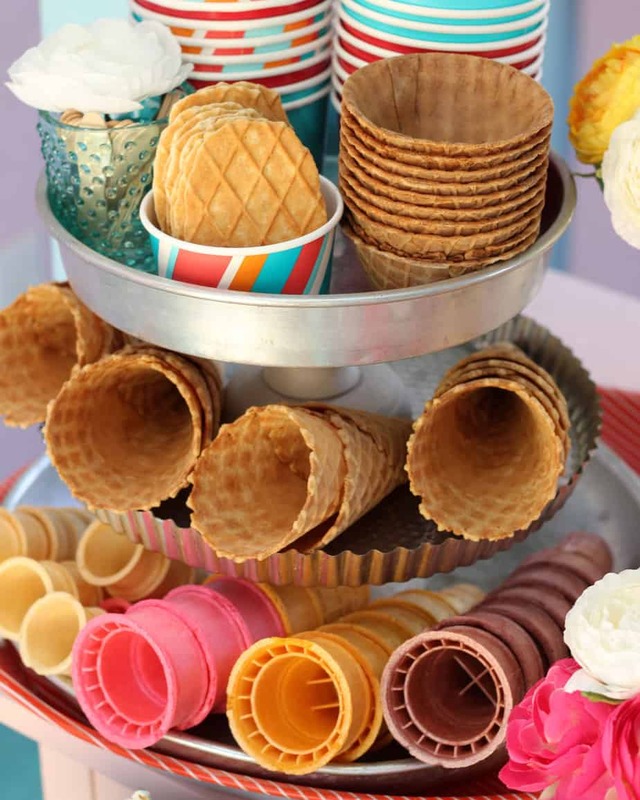 Me personally I love waffle cones! Every year I spend precious time preparing a birthday cake only for the kids to eat the icing and run (see last years here). 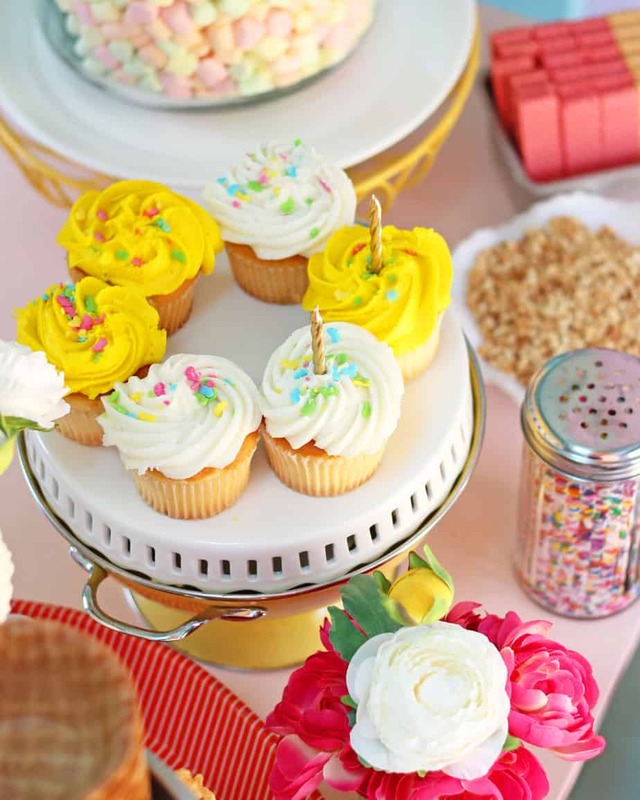 Since there were so many other treats, I cheated and picked up a 6 pack of cupcakes at the bakery, so he would have something to blow out… it was a smart decision, the cupcakes went untouched! 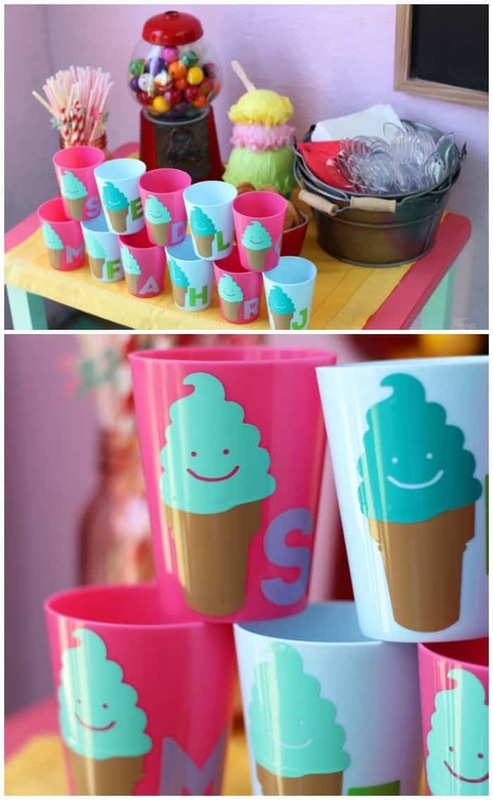 Doesn’t the PPG Voice of Color summer inspired furniture look perfect in the ice cream sundae shop? It was fun to make some custom artwork to suit the ice cream theme. I scrolled a few signs, and made the Sundae Shoppe sign with vinyl left from the floral plant pots I made last month. 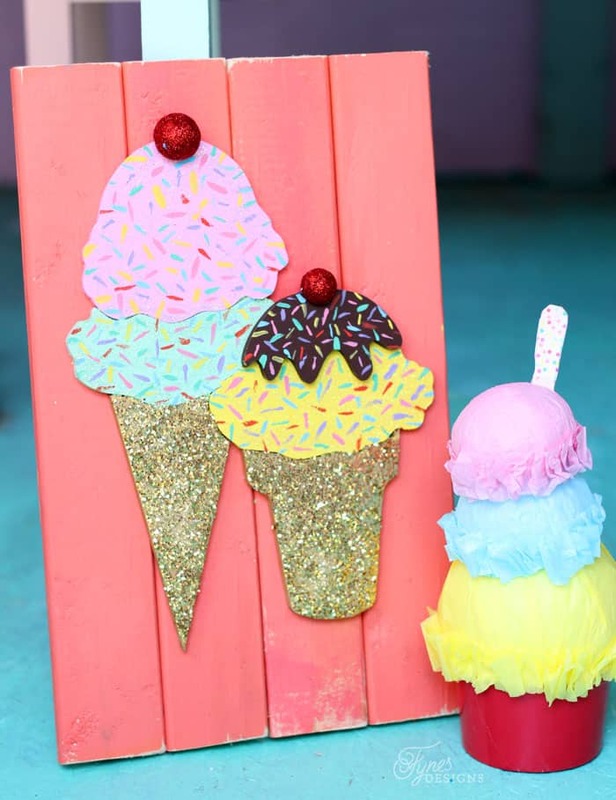 Aren’t the glittered cones, and oodles of sprinkles fun?! I think the children had just as much pretending with the faux ice cream decorations as making the real ones. Each of the children got to take home a little personalized drink cup. I simply cut the shapes on my Silhouette with Expressions Vinyl. 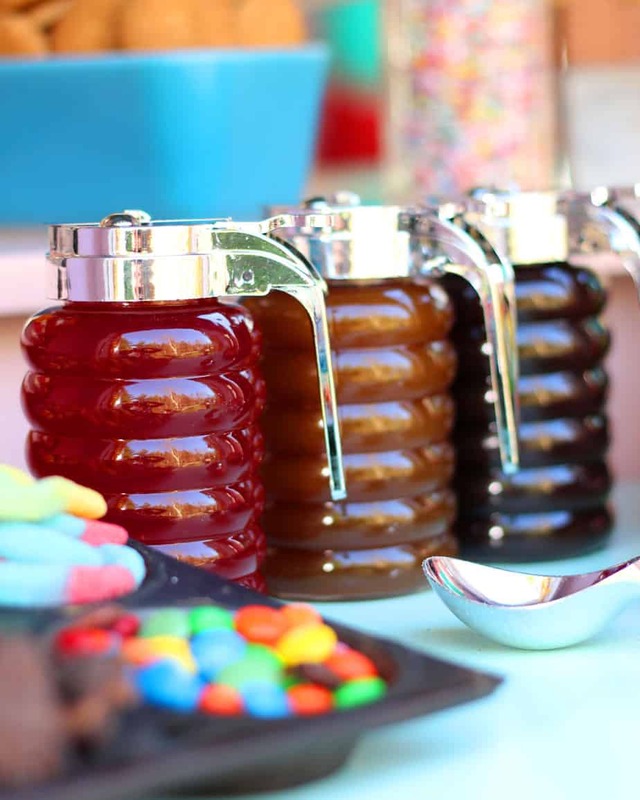 I have yet to meet a kid that doesn’t love lots of sweet options, the sundaes were piled high! 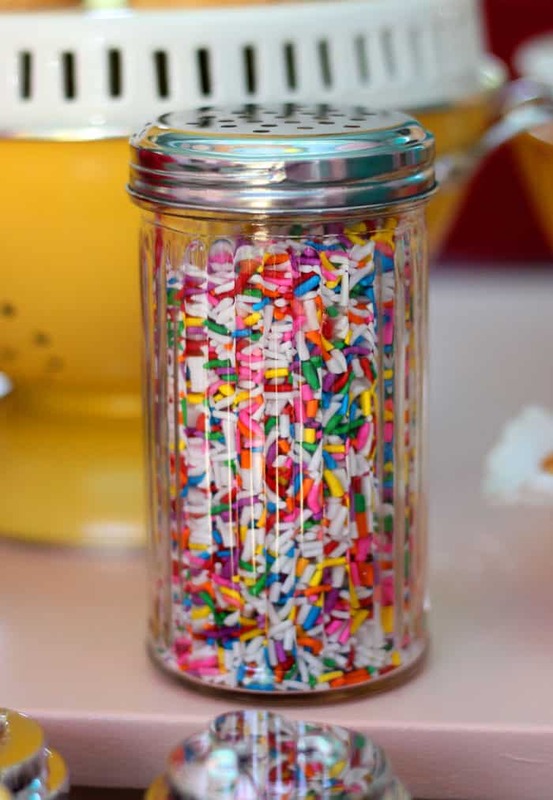 And of course SPRINKLES, lots and lots of sprinkles! But the sweetest of all is my little big 4 year old dude. Happy Birthday buddy! …even wearing half the sandbox and his shoes on the wrong feet! 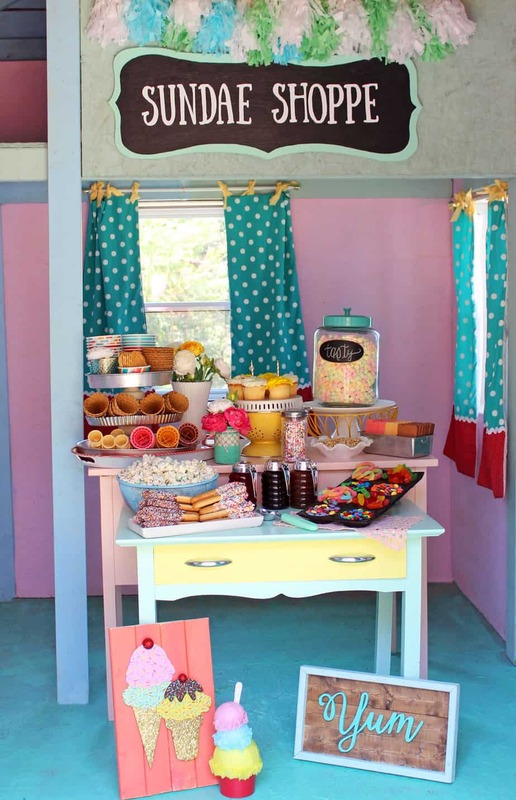 This Ice Cream Sundae Party went off without a hitch, wasn’t the playhouse the perfect setting?! Be Sure to check out Merry Mag! Great article! I love the colours! 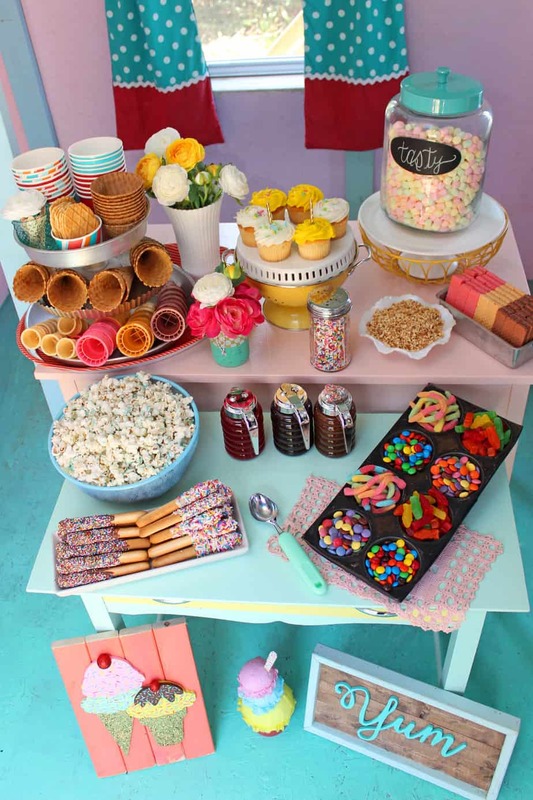 Looks like such a fun and pretty party! 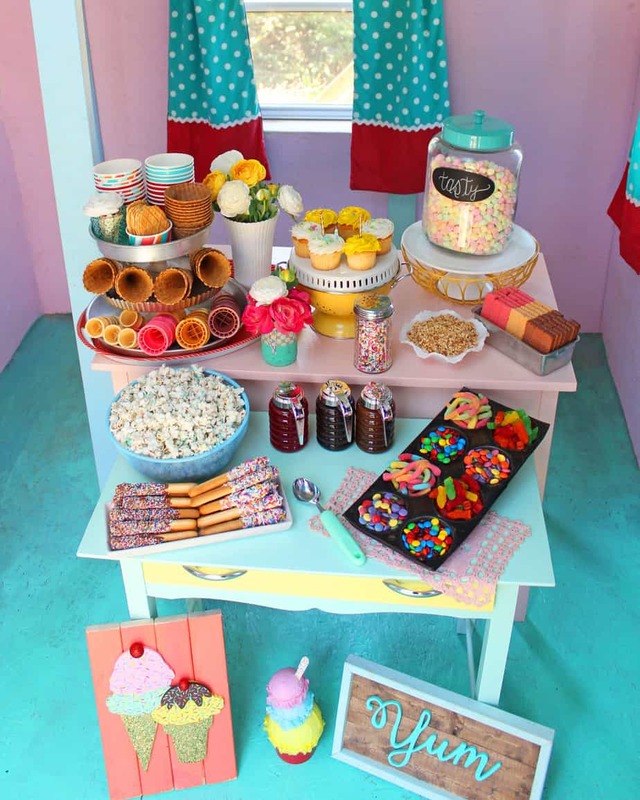 You have outdone yourself with the ice cream decorations and set-up. I absolutely love ice cream. It is one of my favorite things. I am totally crushing over all of this. I actually had an outdoor playhouse like this one when I was young and it brings back so many memories to see another one. Thank you for sharing at Motivational Monday Link Party. I can’t wait to see what you share this week too. Ohhh…this is SO GOSH DARN CUTE!!! Thanks so much for taking the time to link up with us over at the #HomeMattersParty – we hope to see you again on Friday! This is so adorable. Thanks for sharing at the Inspiration Spotlight party! 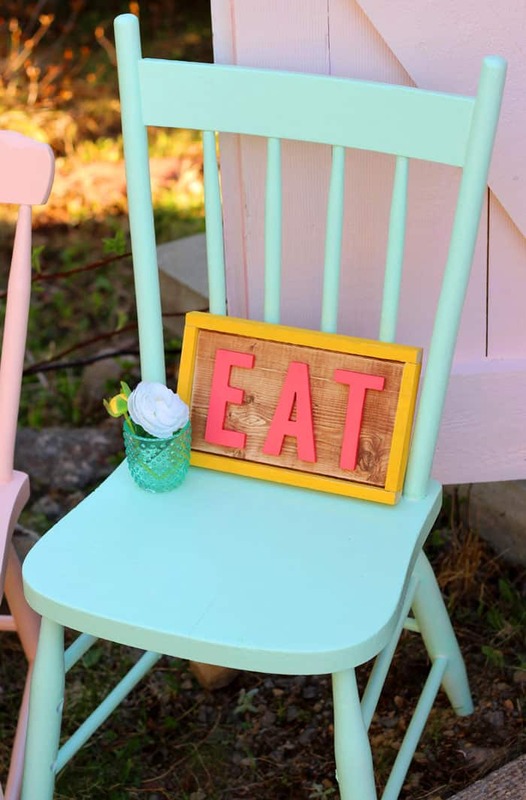 We love seeing all the great ideas you have. Pinned, sharing on FB & tweeted. Hope to see you again soon!